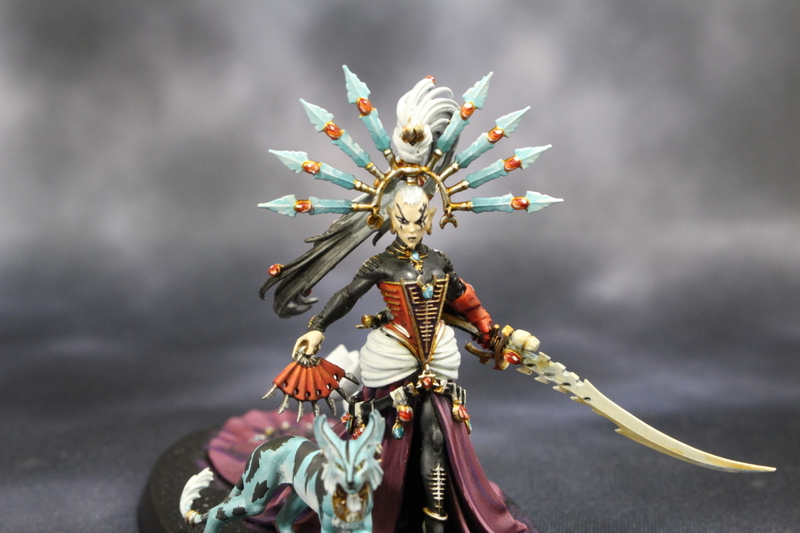 Diamonds galore. 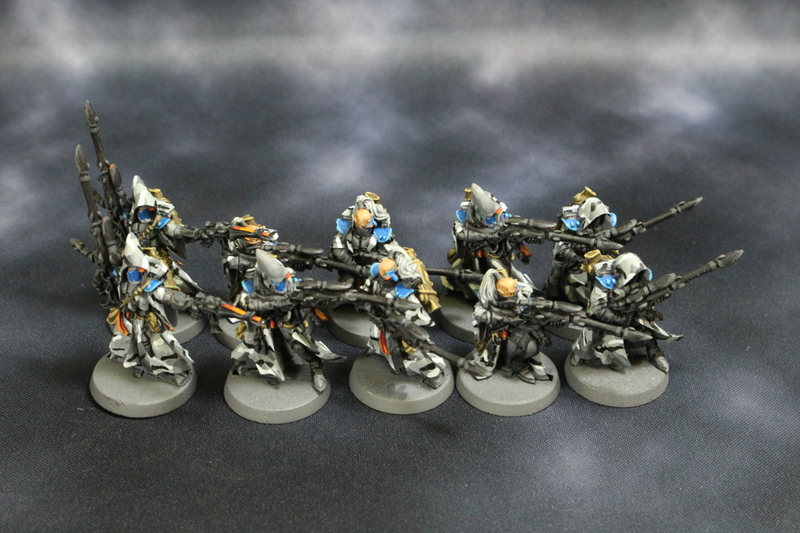 Jetbikes are ready for their pilots. 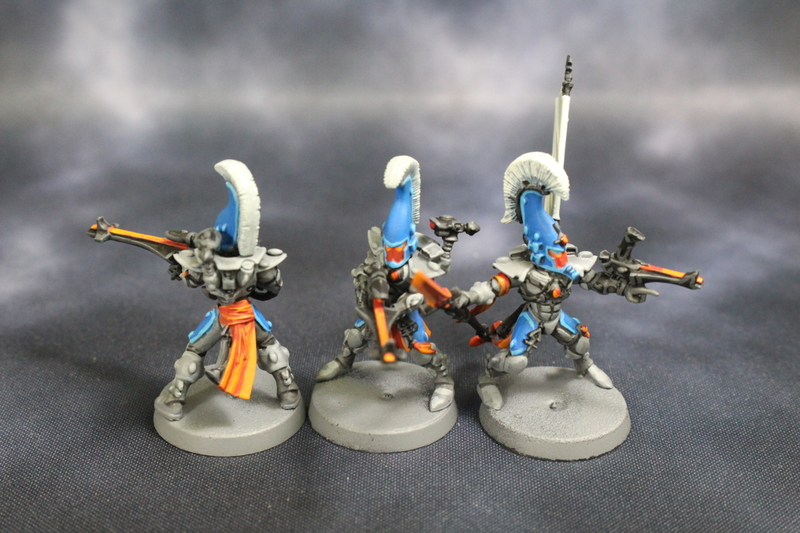 The last of the minis for the Eldar. 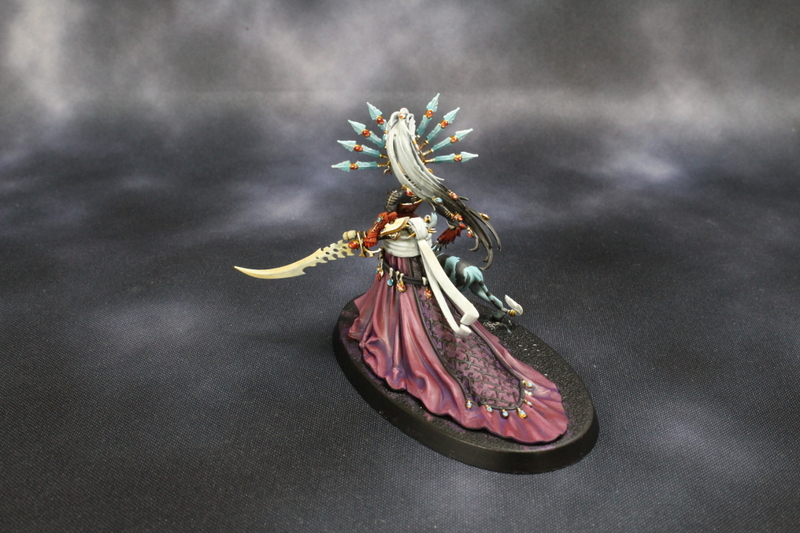 Yncarne, Avatar of Ynnead and Illic Nightspear. 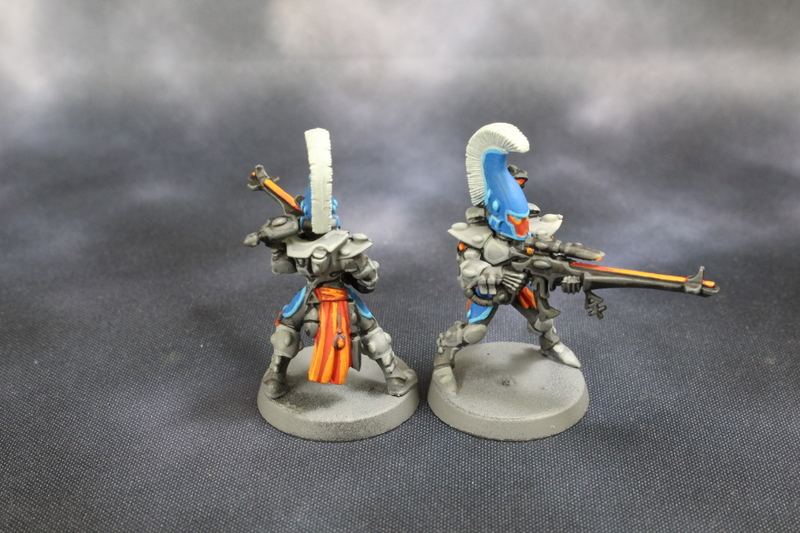 The last of the Dire Avengers. 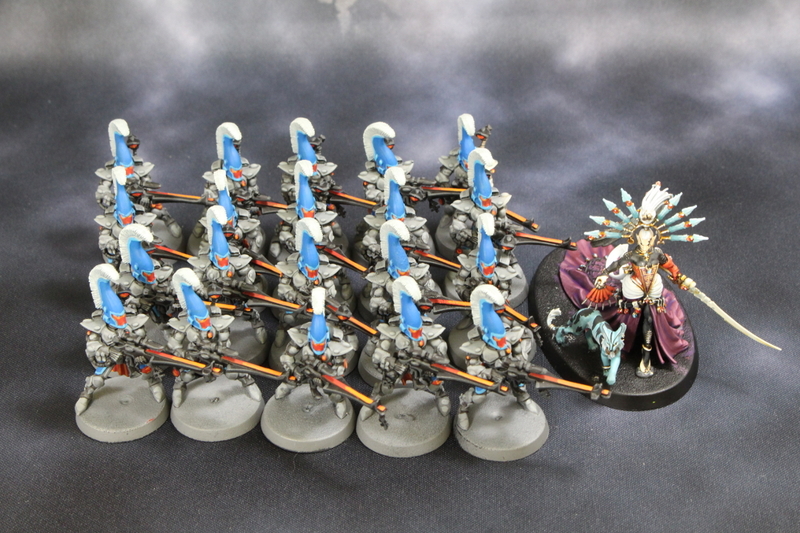 All that’s left is Yncarne and a handful of Rangers. 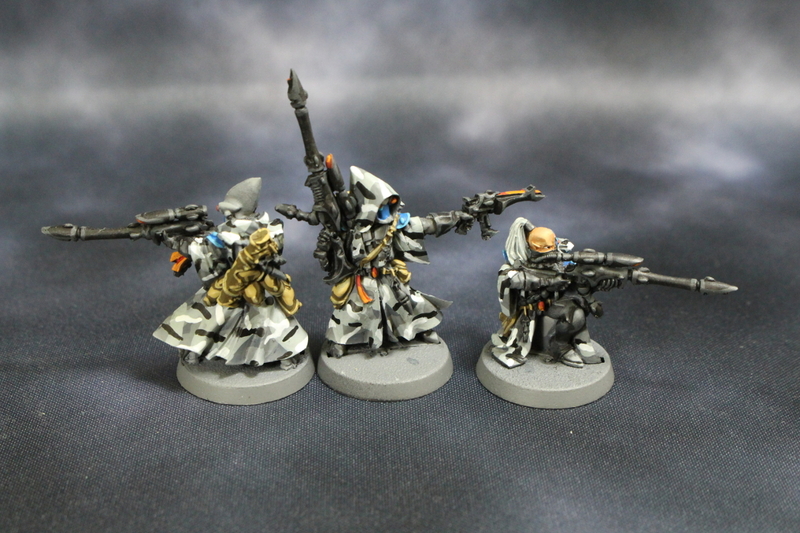 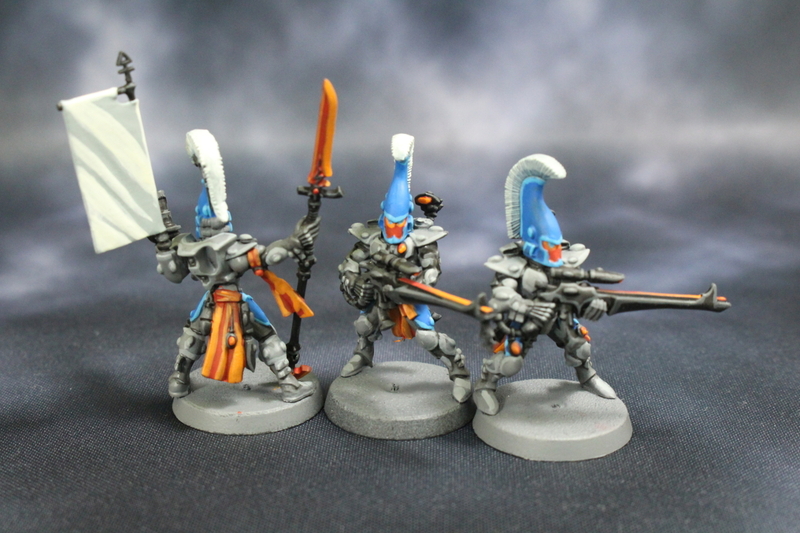 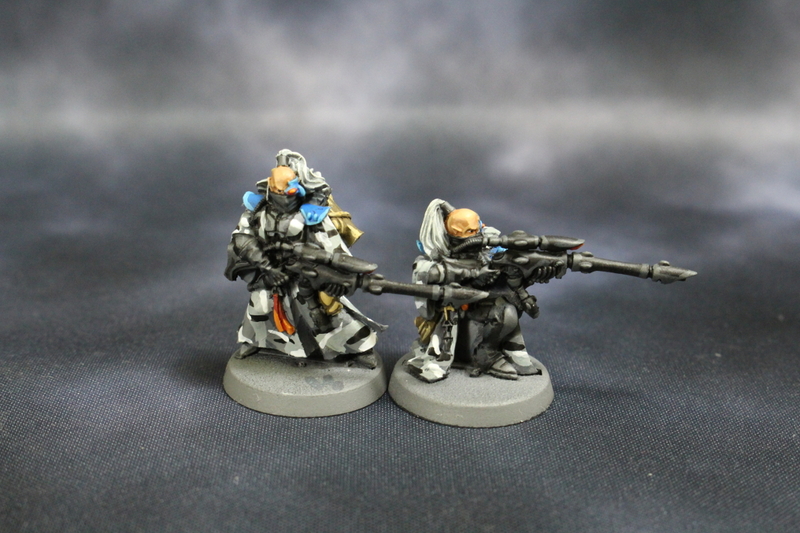 A modest batch of Eldar troops. 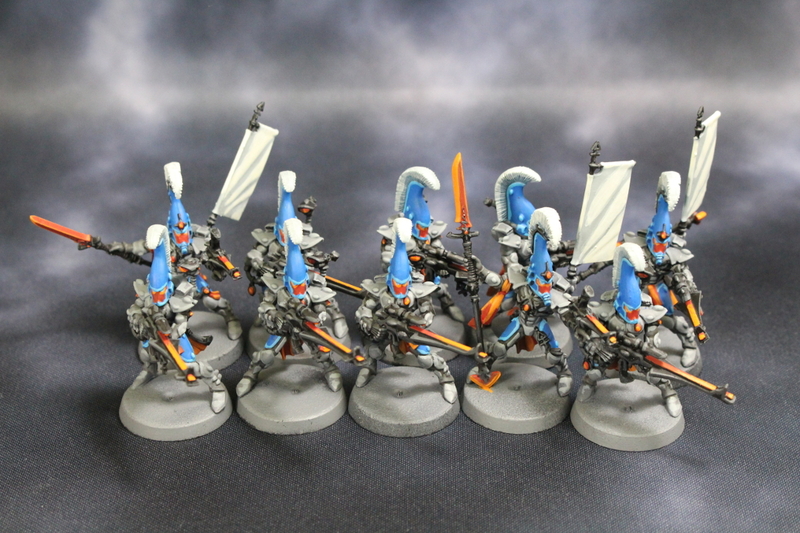 Dire Avengers. 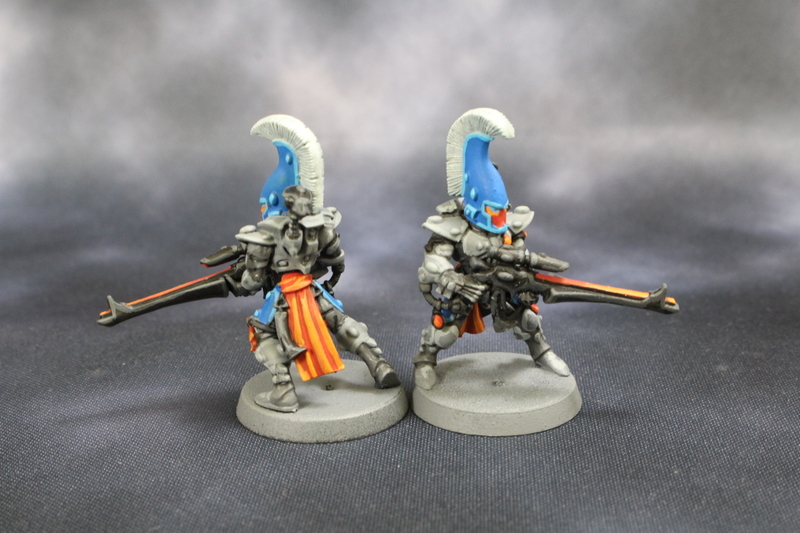 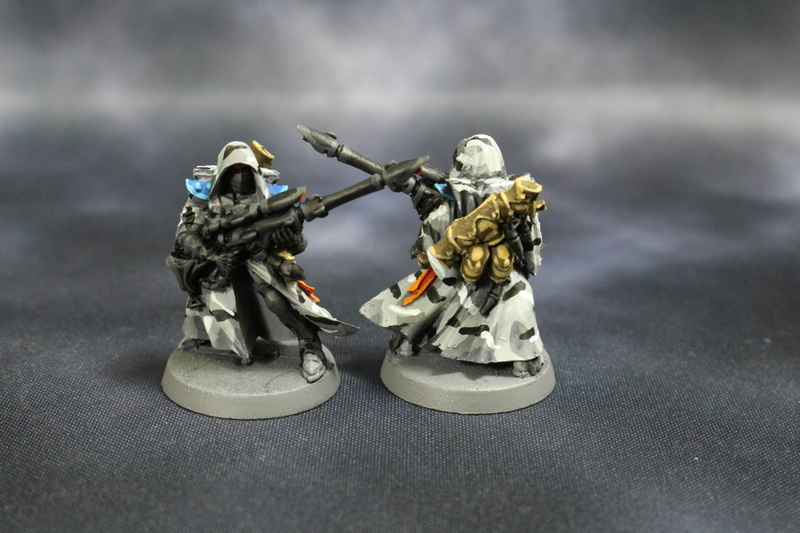 Mostly following the the scheme of the last set of Eldar, just a different orientation. 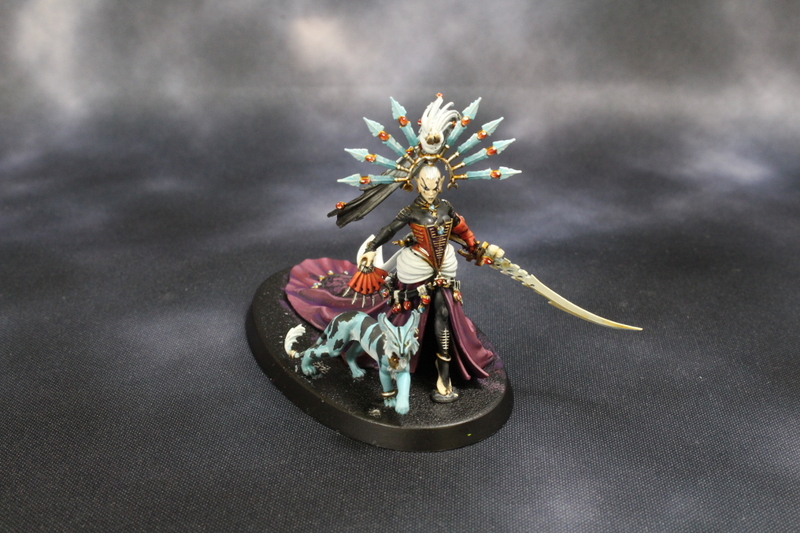 Yvraine is the character for this batch. 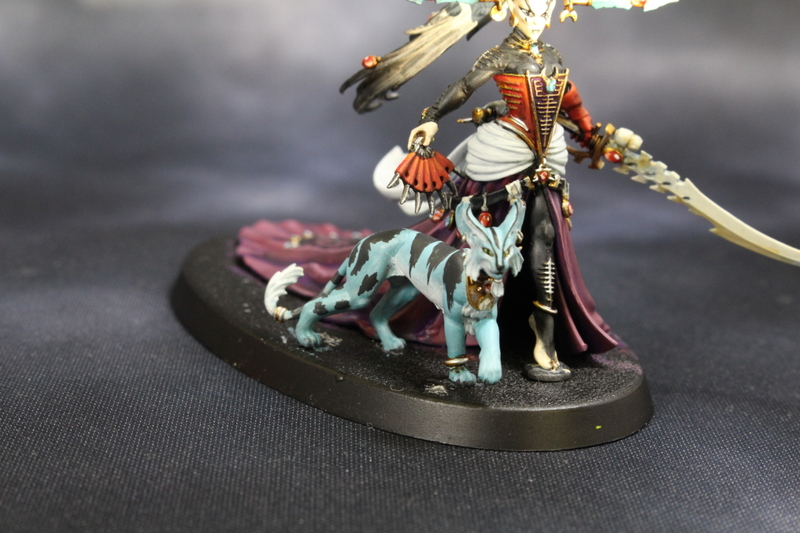 I followed the box art for her and the familiar.